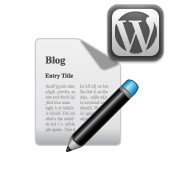 Why Choose the WordPress Platform for Your Blog? If you are thinking about starting a blog, you have most likely run across information about WordPress. If you are not completely familiar with WordPress, it is an extremely popular CMS (content management system) blogging tool. In fact, WordPress is the most widely used blogging platform available today. One of the reasons this software is so popular has to do with the fact that it is both an open source software and it is free to use. While WordPress is easy to install and easy to use, many people feel intimidated by this software before actually understanding its straightforward and simplistic nature. Before abandoning the idea of using WordPress for your blog, attempt to understand the features that this software offers and how it can help you during the different stages of your blogging journey. Do some research on WordPress and how to set up the software, especially if you are planning to run a self-hosted blog. Installation WordPress will differ somewhat, dependent on where you are hosting your blog; however, most installation processes are typically easy and only include a few steps. Learning the proper actions needed to set up WordPress before actually beginning your blog setup can actually save you some time later on. There are various WordPress-ready themes available for your WordPress blog, which will allow you to design and develop your blog exactly how you want it. With the various themes, you can create blogs with a clean, simple design or choose to design a more complex blog. There are also multitudes of plugins available for use on the WordPress platform. Plugins allow you to complete various tasks and add different workable applications to your blog. Because there are so many bloggers already on the Internet, some of which will most likely be blogging about the same topic as you, it is important that you create a unique, original looking blog that will grab your viewer’s attention. Because WordPress is so versatile, the amount of distinct blogs that you could create is endless. Perhaps you are interested in building a website that will not contain a blog. WordPress is also the perfect option for a standalone, non-blogging website. WordPress, with the addition of various templates, will allow you to create individual pages, menus and categories, which will showcase all of the information regardingthe products or services you are offering, as well as personal information—if you are constructing a non-business, personal website. No matter which type of site you are looking to construct, WordPress offers the ability to add several different functions to help you build the perfect website for your needs. With all of the options available with WordPress, it is difficult to realize why anyone would choose any other blogging platform. Before you look at another platform, consider utilizing this content management system to run your blog or website. You will most likely be very pleased with all of the options available to you through WordPress, and you may find that you will never need to search for blogging software.